06/20/13, 07:24 AM | Solar & Wind | AXYS Technologies Inc. The WatchMate buoy performs with a similar operational cost of maintenance when compared with the TRIAXYS™ buoys deployed in the REDCOS network. Will Renewables Continue to Grow? 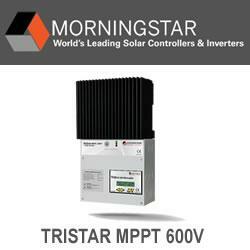 T�V S�D has developed a certification process for systems used to monitor the operating performance of PV power plants. The Czech manufacturer, Domat Control System, was the first company in the world to be certified. T�V S�D will bei at Intersolar Europe 2013 in Munich, hall A 3, stand 356. 06/19/13, 08:22 AM | Solar & Wind | Greenlancer Energy Inc.
GreenLancer.com, a Detroit-based clean energy technology company, today announced the launch of a proprietary e-commerce platform where contractors can order the engineering documents needed to quickly develop solar energy projects. PV Insider confirm Amonix and Solaria to present on free online webinar covering CPV's viability and prospects in 2013 and beyond.